Latest studies show that the prevalence of erectile dysfunction is higher than previously appreciated. Availability of effective treatment for erectile dysfunction has increased the interest of men in sexual health. Viagra, which has been available for more than 10 years is an effective treatment for erectile dysfunction. Newer treatment options for vascular erectile dysfunction includes non-invasive ESW (shockwave for ED). 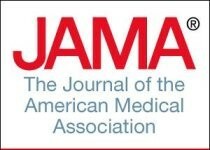 Latest studies published in top medical journals including NEJM and JAMA show that treatment for advanced prostate cancer that failed hormonal therapy with a new class of hormonal therapy that includes Zytiga and Xtandi improves treatment outcomes, prevents deaths in many men by as much as 20-30%. Peyronie’s disease has been the most recalcitrant condition with no effective treatment short of surgery (which has its own side effects). Commonly prescribed treatments have not been rigorously tested in placebo-controlled trials and the studies that we have shown that at best they work in few men with minimal benefit. Recently approved minimally invasive treatment for Peyronie’s, Xiaflex for Peyronie’s disease is changing the entire approach to the treatment of Peyronie’s disease. Xiaflex is the only treatment ever tested and proven to benefit men with Peyronie’s in randomized controlled trials against placebo. We are still limited in terms of minimally invasive options available for men with mild Peyronie’s disease, with intralesional Verapamil and penile traction devices offering perhaps the best efficacy with the least risks/side effects. I expect that Xiaflex may become an option in the future for men with the milder disease once we have adequate experience in men with the more advanced disease, perhaps at a lower dose. We’ve seen it. Men having terrible difficulties with urination because of an enlarged prostate who do not want treatment because of possible sexual side effects. For these men, new treatment options bring a breath of relief. First, for men with mild symptoms of BPH, once daily Cialis has been approved by FDA for treatment of both symptoms of enlarged prostate and erectile dysfunction (ED). Marvelously, it helps with both. Better erections and better urination with one pill. For men with moderate to severe symptoms of BPH or men with mild BPH who do not wish to take medications, Urolift for BPH is a new one-time minimally invasive treatment option that does not have any associated sexual side effects. Studies show that men with BPH who had Urolift actually experienced improvement in sexual satisfaction. 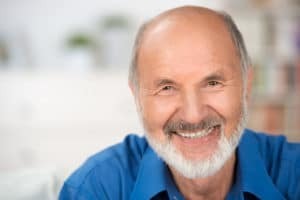 Testicular Prosthesis Surgery for Men with Missing Testicle offers a pleasing solution and can help with self-esteem related to scrotal appearance. I have been a patient of another Urologist for years, with no positive results. 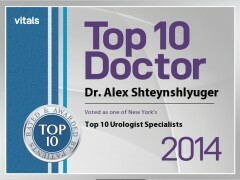 Then I learned about Dr. Alex Shteynshlyuger through a TV newscast. I immediately decided to have a consultation with him. Best decision I ever made!!! Dr. Alex performed the Rezum procedure and has literally changed my life. I highly recommend Dr. Alex and his staff to anyone who wants the most caring, capable and result oriented urological medical care. Thumbs up to Dr. Alex and staff!!!!!!!!! From the very appointment to the last follow-up visit, I felt I was at the right place and with the right people around me. Dr. Alex Stheynshlyuger and his staff made it easy and confortable. I would recommend them to every man. I am very satisfied with the treatment I received at new york urology specialist and would recommend them to other patients.they are the very best. I am writing to thank dr. Alex. He is thorough, professional, knowledgeable, helpful and friendly. I have seen him for ED and prostate issues, and he has explained all my options clearly, and found solutions that have been a great help. thank you! I highly recommend both Dr. Alex and his staff, which I find to be helpful, friendly, knowledgeable and very professional. They are a pleasure to deal with and all have been a great help. I am very much thankful for meeting Dr Alex .I had a very serious medical problem I visited many doctors but none could not help me it was very difficult for me until I visited Dr Alex after a couple visits my medical problem is no more I feel very great also I felt almost 20 years younger Dr Alex is second to none fantastic doctor. Thanks again Dr Alex from my family. Received circumcision from Dr. Shteynshlyuger. Dr. Shteynshlyuger is a very good specialist who cares for his patients. He was always concerned with my physical and mental comfort prior, during and post-operation. Dr. Alex is very thorough in his work to assess any problems and provide the necessary solution. Being that he has recently moved to a new location, this may afford for speedier appointments and easier flow of patients in and out. In addition, more personal space for waiting patients. If there was any con, it would be, the lack of space at his prior office and being able to see his patients at the appointed time, but a necessary sacrifice for good, careful work. I would recommend him as a very good doctor. I am feeling better now after visiting clinic New York urology specialists. Excellent staff and appointment on time. Dear Dr. Alex – I just wanted to write you a note to thank you for all of the care you have gave to my father during his illness. We appreciate all that you did to help my dad through his illness. We wanted to be sure to let you know how much it meant to us. Sincerely Joanne R.
Dr. Alex Shteynshlyuger and Staff – Thank you so much for taking care of my husband Bob. Dr. Alex: I thank God everyday for you. You were an answer to prayer. 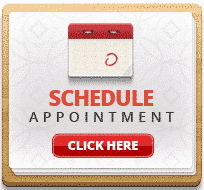 If you have any questions about men’s health treatment, schedule a consultation, contact us or call 1-(212) 204-6300. We have excellent reviews from patients and their partners.